My initial thought in drafting this news letter is to pour out my thoughts and feelings in relation to the passing of our son. For this is what my heart wants to do. But I know it would not be the best thing to do. We are still grieving, and will continue to do so for as long as is necessary; perhaps forever. But instead of sharing the pain of our loss, I will instead share the joy of life and more specifically the joy of our life as missionaries. 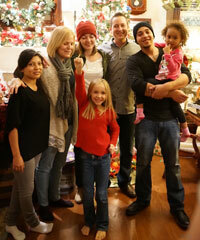 While visiting the States it was a joy to spend time with family and friends during the Christmas season. We are blessed that God has surrounded us with encouragers, uplifters, and generous givers. We enjoyed our family time, friend time, donor time, church time, and rest time. When we entered the mission field and departed the world we knew, it changed our perspectives in many ways. Losing our son has changed them even more. More than before, we now see more clearly the joy of life and the importance of individuals that share their lives and love with us. Returning to work was more difficult than we expected. 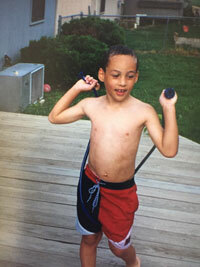 It was hard to focus on some of the things that seemed unimportant at that time, while still in the grieving process. So to help ourselves, we made the decision to get away the following weekend. After 2 and 1/2 years in Guatemala we finally went to the beach (only 3 hours away). While there we were able to participate in something amazing and it was exactly what we needed. 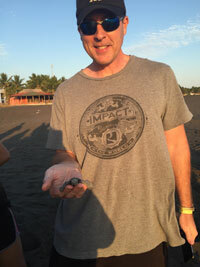 For only a $1.34 each, we were able to release baby sea turtles into the wild. It was an amazing experience for a couple of reasons. It was definitely a bucket list experience, but God did something else through the process. While dealing with the pain of losing the life of our son, being able to contribute to the beginning of life for another living thing was an opportunity for healing. God knew what we needed and it worked. We left for home feeling renewed, relaxed, and refocused. Looking back on 2015, it is a joy to see how God used us in our mission. Many lives were touched and changed. Many memories were made. Many people were introduced into our lives. And many new experiences we were able to encounter. 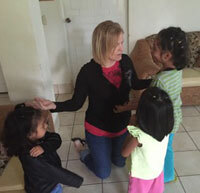 We fed kids, educated them, loved on them, and introduced them to Jesus. We improved some policies, processes, and procedures. We increased the financial stability of the project. 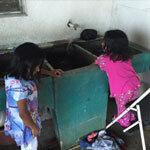 We implemented programs to help meet our self-sustainability goals. And we took steps to improve the health of our children. When I say “we”, what I mean is God with us. He did these things, but used us to accomplish them. He did it all. And we are humbly blessed to be a small part of it. Looking forward in to the new year, we are excited at what God has in store. The day before this newsletter was written, we celebrated with thanksgiving all that God has done so far in our ministry here. Our staff gathered together for 3 hours of sharing testimonies, words of encouragement, and blessings from the year before. Tiffany reminded us how being thankful keeps us from negativity. We need to be thankful in all situations. Even the difficult ones. Especially the difficult ones. Because without them, God can’t grow our faith. He can’t strengthen us. He can’t encourage us. And we can’t know Him more. Difficult times are unpleasant, undesirable, and uncomfortable. But He is worth it. After failing to financially qualify for a full ride to Yale (we aren’t poor enough), Sierra had settled on her second choice of universities (Mizzou). However, surprise acceptance interviews for Yale and Princeton were granted to her and the first went very well. She is waiting to see if she will be accepted and what they are willing to offer. Aramie was excited to return to her cats and was blessed to learn of the birth of triplet goats. She is beside herself with the new babies and spends all of her free time in the goat pen. We are secretly exploring the possibility of buying her very own goat as a birthday present. The only problem is trying to figure out how to keep it out of her bed. Jaqui has begun her schooling to become a “stylista”. She will be learning all facets of beauty (hair, makeup, nails, etc). She was a little nervous about starting, but she has the interest and desire to learn this profession. We know she will do well. Tiffany is excited to let her “practice” on her! 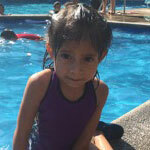 Thank you to those that have supported our work in Guatemala! This ministry couldn't exist without your help. Thanks to God and The Well Church, we were able to provide the children at the orphanage a wonderful Christmas surprise. We went to a local animal park (drive-through zoo) and went swimming. All had a wonderful time. 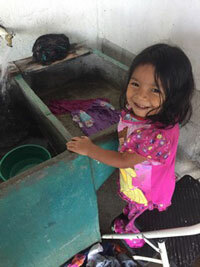 Two of our precious little ones are already learning to wash their own clothes in the pila. Their house mother, Dina, says they do an amazing job (even better than some of our older kids). What would a newsletter be without a new photo of Aramie with the goats. She continues to charm all the animals, even the 3 new babies. We all watch her in wonder as she loves on them every day. Our school-year started this month and our new students are ready to go. We've changed things up this year, providing extra time for tutoring in the afternoons. We are excited to see the progress in our students. Thanks to our amazing groups, our library continues to grow. It is such a joy seeing our kids develop a love of reading. 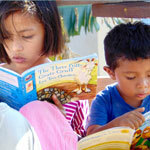 This past year alone, we received donations of hundreds of books for our children. Thanks to all who have participated in this effort.